Mo Vawda is a rocketing newcomer to comedy and has been performing in many theaters around the country. You miss him, you’ll miss out! 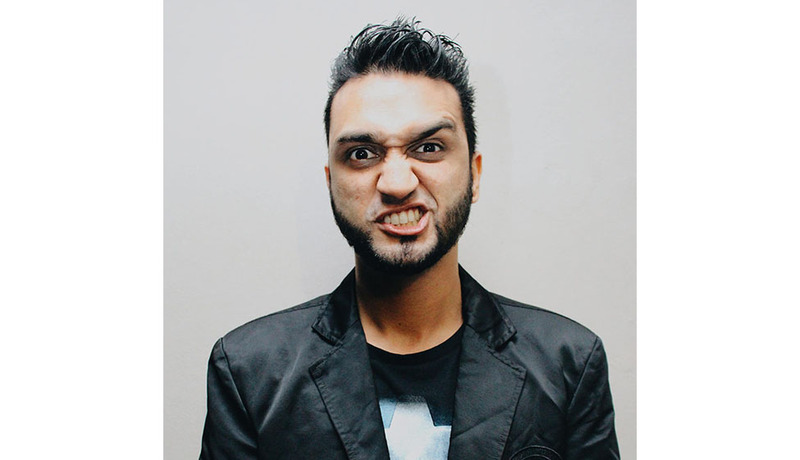 Mo Vawda has performed at the Savanna Newcomers Showcase Comics Choice Awards and has performed with comedic greats like Carvin H. Goldstone, Joey Rasdein, John Vlismas, Darren Maule, Marc Lottering, Mark Banks, Loyiso Gola, MoMagic, Dusty Rich, KG Mokgadi, Goliath and Goliath, Jem Atkins, Neville Pillay, Neil Green, Robbie Collins, the Dingalings, Masood Boomgard, Glen Beirderman-Pam and many, many other great artists. His unique take on life and passion for comedy drives him to be one of the greats of the next generation of comedians. He is proudly South African and Muslim and he brings his pride forward on stage in a unique manner.